The emptiness that Internet, global communications, smartphones and new technologies cause to humans. 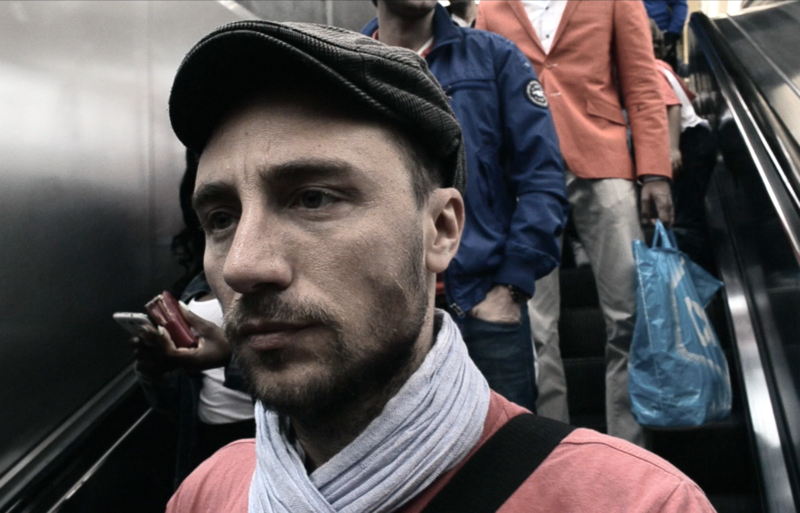 This intervention the performer film himself crossing in real time the authentication places for public transport. From the train to the metro following the journey of a non-selfie portrait.